Never forget. It’s a powerful statement and a willful vow when referring to tragedy of an historic capacity. Memories of the unimaginable must be passed down like precious heirlooms, to ensure that such horror cannot be allowed to occur again. This idea is at the center of The Interview by Faye Sholiton, now enjoying an engrossing production by The Women’s Theatre Project. 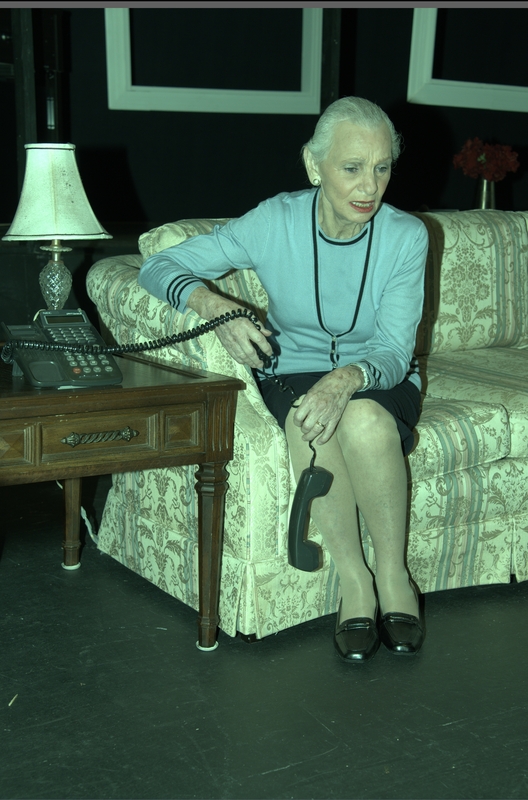 The Interview focuses on Bracha Weissman (Harriett Oser) a Holocaust survivor living in Ohio. Bracha has agreed to be interviewed for a project to document and record the memories of Holocaust survivors. Her interviewer is Ann, (Patti Gardner) a woman whose late mother grew up not far from Bracha, and who also survived the camps but who never shared her experiences with Ann. Bracha has agreed to the interview for the twin grandsons she’s never met, the children of her estranged daughter, Rifka, (Irene Adjan) who appears in the play through Bracha’s memory. Bracha needs to tell her story, and Ann needs to hear it to come to terms with her mother’s memory. The Women’s Theatre Project produced The Interview a few years ago, with Oser, Gardner and Adjan. Then, the company only produced plays by women playwrights with all female casts, so Sholiton rewrote the last scene and changed the gender of a character. This production includes the original scene, which adds more resonance to the play. Oser is excellent as Bracha, conveying her steely will, her anger and her vulnerability with just the right mix of power and poignancy. Gardner and Adjan do well in their supporting roles, but this is Bracha’s story and Oser’s show all the way. Sean McClelland evokes the memory aspect of the story with his inventive set design. “There are no happy endings after Auschwitz,” Bracha tells Ann during a powerful moment in The Interview. No happy endings perhaps, but, as The Interview shows, there are new beginnings. The Interview runs through January 20 at The Willow Theatre at Sugar Sand Park,300 S. Military Trail, Boca Raton. For tickets and more information, call 561-347-3948 or visit WomensTheatreProject.com.